I mentioned in my last post that one of my November goals has been to limit my screen time to under 4 hours per day. Easy, right? I had no idea I spent over 4 hours per day on my phone. That seems crazy! But when I looked at what apps I was spending a lot of time on, it makes sense. Little amounts of time over the course of a day really add up! Plus I realize I pick my phone up to check email or other notifications way too often. I also realized that on days I pick Clara up from preschool I log about an hour on Google Maps. Just for preschool pick-up! So of course I stopped using Google Maps to go everywhere I should know how to get to… and subsequently got lost a bunch of times. This is not surprising (well, it was to me, but shouldn’t have been) because I have a horrible sense of direction. So now I do things the old-fashioned way: I look up directions before I go and try to memorize the route. And when I get lost – which is inevitable – I turn on the Maps to get me back on track. All for the sake of limiting my screen time! I wish I could just exclude Google Maps from being counted at all, but I am considering this part of the challenge in getting myself away from my phone for everyday tasks. One of the positive changes I’ve made has been to set limits on how much I’m on Facebook and Instagram, and this little setting has made a huge difference in my aimless scrolling. I really do think everyone should set limits on apps that they find themselves clicking on for no apparent reason. When it’s 10pm and my little timer tells me that I only have 5 min of Instagram left for the day, I take that as a great indication that I need to be off my phone and go to bed. 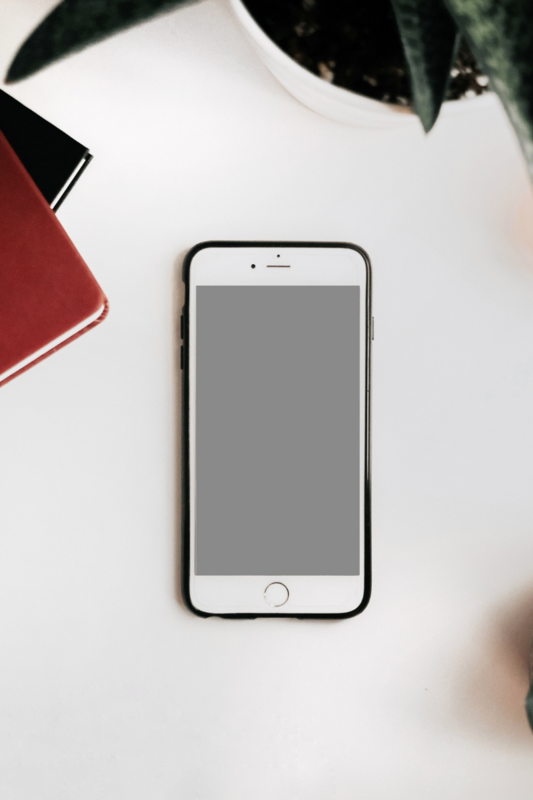 Even though I think ignorance is bliss when it comes to knowledge about how much I’ve been on my phone – the changes I’ve made to get off my phone have been positive. I mean, sure sometimes I cheat the system. For instance, I look up more things on the computer instead of my phone (but I don’t use social media on my computer). However, overall I know I spend much less time in front of my screen. And this means that I’ve been reading even more books than usual – always a good thing! Tim has told me there are ways to get around this little app ‘ruining my life’ such as taking it off my menu screen or whatever-you-call-it on my iPhone. (Basically he’s saying I could hide it.) He also says I can download a different app to track it so that I can exclude Google Maps from being counted as ‘screen time’. But I’m not a quitter – no sir – so I’m going to stick with using this measuring device to record my screen time and see if I can build some positive habits, especially during the month of November when this is a goal of mine! Do you check your screen time? How do you feel about the amount of time you’re on your phone? This entry was posted in consciously evolving and tagged screen time, technology. Bookmark the permalink. 4 Responses to The Screen Time app. It’s ruining my life. least part of it was used to help me learn and grow, not waste my time. I was definitely thinking that in the future I might have the goal to be not to exceed certain times on social media, but my goal in November was really trying to limit the amount of time I’m on my phone in general to see if I could do it and to hopefully be more aware how much my kids see me use my phone… I mean they don’t know whether I’m doing something ‘productive’ on it or not! I worry about this same thing when I use my Kindle, though, because if they see me read an actual book that seems more positive than seeing me stare at another screen / Kindle / device. This is sooooo true! I usually do trade one screen for another. Except having the screen time tracker really does make me realize when I’m aimlessly scrolling and possibly avoiding housework that needs to be done or my kids/Tim. At least when it was just a computer I needed to be sitting at home to use it, and wouldn’t generally be SO unintentional about scrolling.